This release couples two of Schumann’s substantial chamber music works: the mature E flat Piano Quartet Op.47 and the youthful C minor Piano Quartet. 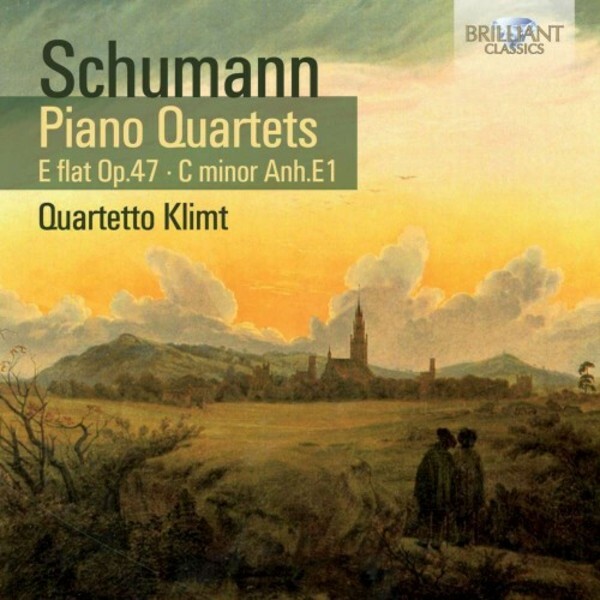 Schumann’s E flat Piano Quartet is a masterwork in its genre, on a par with those by Mozart and (later) Brahms. The C minor brother is an outpouring of youthful passion on a grand scale, compensating its lack of structural solidity by ardent impetuosity and boundless energy. These are excellent performances by the Quartetto Klimt, 4 young Italians sharing their passion for this still slightly neglected chamber music. Recorded in 2009. Booklet contains liner notes and artist biographies.